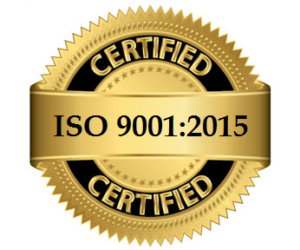 July 17, 2018 Amick Brown is proud to announce that we have been awarded ISO 9001 certification. The ISO 9001 standard is the world’s most widely recognized quality management system (QMS) certification. With more than 1 million companies certified in over 170 countries, ISO 9001 defines requirements for companies who want to ensure that their products and services consistently meet customer requirements and to continually improve their business processes. ISO 9001:2015 is the current version of the standard that can be applied to any size company in any industry. This standard is based on a number of quality management principles including a strong customer focus, risk based thinking, the commitment of top management, the process approach and continual improvement. Our decision to pursue ISO 9001 accreditation supports our commitment to providing high-quality services to our clients and to our goals of continual improvement. We have developed our quality management system in order to improve overall performance, to maintain a high-level of quality with regard to our services and to focus on customer satisfaction. To become ISO 9001 compliant, Amick Brown developed key process plans and documentation, a quality manual, measurement, communication and purchasing plans, as well as processes to track non-conformances and corrective actions. We would like to acknowledge The Core Solution.com – ISO Experts for Small Businesses (www.thecoresolution.com) for helping us to understand the standard, providing training to our team and guidance as we built processes to ensure our compliance. Amick Brown underwent two comprehensive audits by Perry Johnson Registrars, Inc. (www.pjr.com) in order to achieve the certification. We are proud to say that there were no non-conformances noted. We look forward to providing high quality services to our clients and to continual improvement. Amick Brown Makes the Top 100 Women-Owned Business List for the 6th Year in a Row!